Is the 13″ MacBookPro a Shot at Netbooks? With the prices as they are it’s easy to consider netbooks almost temporary machines. My good friend Andy Abramson almost considers them disposable leaving his MacBook Air in the hotel safe and dragging around the netbook which he can afford to have smashed or even stolen. In my case, I have been trying to do as much as possible on the netbook and while that’s been both largely successful and pleasurable, there are certainly some limits. The newer crop of netbooks is supposed to alleviate the video processing power and heavy flash web page processing the Atom really does at admirable job trying to handle, but lags. Battery life is of course a major plus on netbooks and I’ve gotten as much as 7.5 hours of active use during a day of business. I love that the battery is solid enough to go a few days of intermittent use without even having to plug in – something my other laptops (work lenovo X61 and personal 15″ macbookpro) can only dream of managing. The new 13″ MacBookPro is completely changing my perspective on mobility … It’s only slightly larger and about 1lb heavier than I’m used to carrying around but offers an quantum difference in capabilities. The price is rather different as well. Instead of topping out at around $500 for a netbook, the 13″ MacBook is closer to $1800 configured the way I’d want. The price difference, while considerable is small compared to the newly found power I’m likely to find once again. Â And let’s not overlook the new battery power to die for according to Anandtech … making the MacBookPro even more attractive! While netbooks are really about compromises … MacBookPro’s are not. Given that my 'work' laptop is a 13″ Dell XPS M1330, I just can't see a Macbook Pro being a real option as a 'netbook'. For me, the size matters – I'm cool with the fact that video editing or mass photo editing isn't going to happen (though I am able to do light photo editing), but the biggest reason I love my Asus EeePC 1000HE is because it's small and does 80% of the things I need it to. Also, given that it plays second chair to my XPS M1330, I just can't justify spending over $500 on it, either. To each their own, though, that's what's crazy about the laptop market. There's quite literally something for everyone. Honestly, this one probably has hit the sweet spot – albeit the price is a bit high. It fits nicely into the market for those looking for a powerful MacbookPro but do not want a big 15″ or 17″, it's small and powerful enough to be the main laptop and go anywhere and everywhere. Clean and powerful desktop at home and away from it. Apple paid for their pricing policy long time ago. Now with the knowledge of the past, they try hard but i think it all depends on the other sides mistakes. 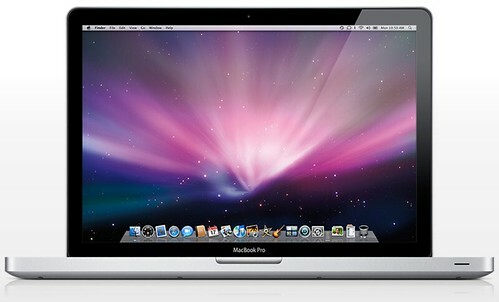 Windows Vista was a very good opportunity for MacBook but if Windows 7 is as good as it looks so far, things are tough. OtherWorldComputing (macsales.com) is your friend for option upgrades to Macs. Upgrades to your configuration are better and cheaper there. There are other methods to save a bit too if you don't already have apple corporate discounts, shoot me an email if you want details. Forgot to mention that I'm ordering a 13″ for my niece who's starting College. The 13″ MBP looks much more useful than the wife's MB Air without being a lot larger and heavier. I have OSX on a netbook as well, but it's far from a real mac. My MacBookpro is just has considerably greater degree of polish.